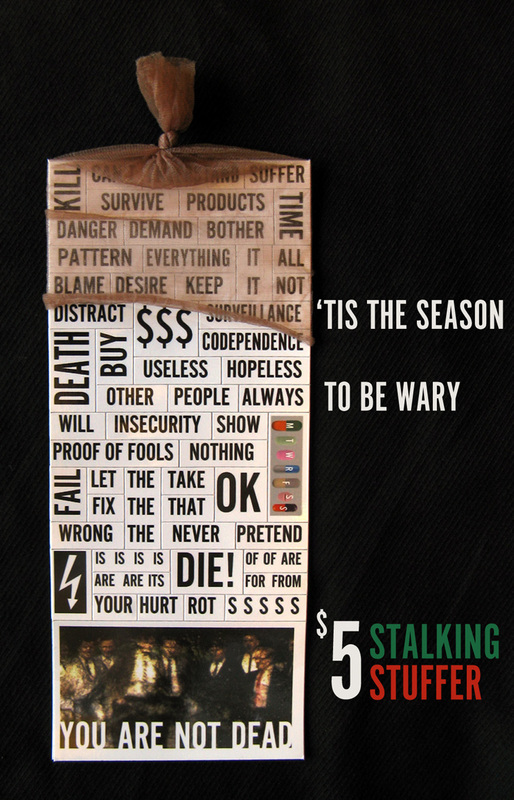 Have some (ma)lingering names yet on your holiday list? Why, there’s a sale going on! 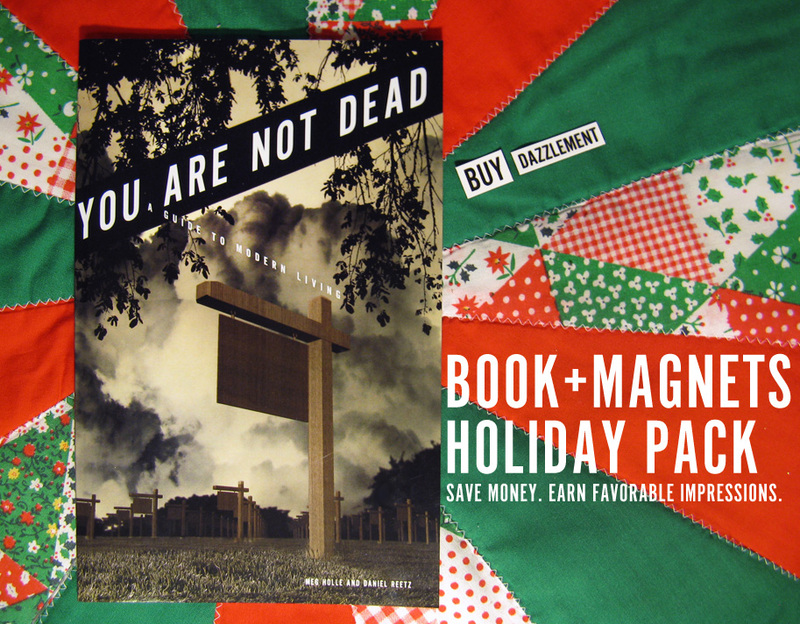 In our special Holiday Pack, get a copy of You Are Not Dead and a set of magnetic Fridge Words for a mere $15, shipping included! Don’t want to invest that much in your tolerated one? Forget the candy canes and switches—what could be more perfect to stuff a stocking than Fridge Words? Buy buy buy! Next Article Next Article: christmas came!